Food safety is key in the food and beverage industry. That’s why we provide products that are USDA/FDA approved. Our belts are quality made to exact specifications. 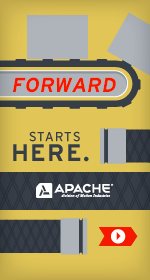 Apache offers both conventional rubber and cotton belting, as well as European-style thermoplastic belting. Covers are smooth, textured, and profiled. All are USDA and/or FDA approved belts. ScanBelt has a wide variety of belts to fit all food and beverage needs. Various different styles — from flat top to cone top, and FDA approved to impact resistant — allow us to provide belts from the most delicate application to the most difficult. Stringent guidelines for food handling require the right design in the hose selected to do the job. Apache has specific hoses created for use in oil-based product transfer or cleaning in-process applications. We sell hose assemblies that meet FDA requirements as well as hoses with USDA, 3A, or E3A approval. The dairy washdown food hose is designed for washdown service in dairies, creameries, packing houses, and food processing plants. It's white EPDM cover is both abrasion and scuff resistant. We also have oil resistant washdown hoses available. This heavy-duty clear hose allows visibility of product flow and works well in milk handling and other food processing applications. Hose is 3A and FDA compliant and is acceptable in USDA environments. We custom fabricate all types, sizes and quantities of custom cut and molded parts to your exact specifications. Apache's manufacturing facilities stock a wide variety of standard and specialty materials and compounds, while our supply partners are ready to produce custom materials and compounds for your specific application.